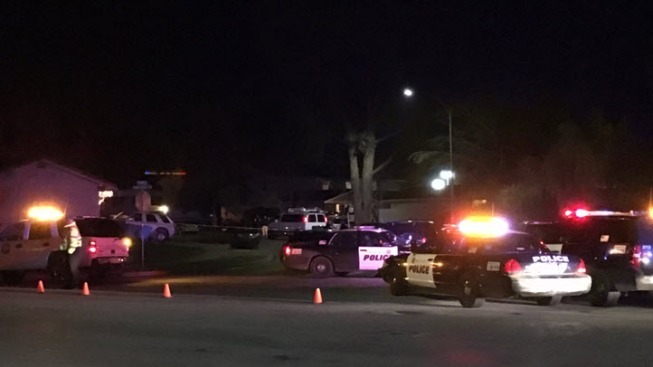 A man was shot and killed by a police officer responding to a "violent domestic fight" in Gilroy, according to the police department. The officer-involved shooting was reported around 7 p.m. Monday on Filbro Drive, near Gilroy High School, police said. Officers initially responded to an apartment complex for a report of a domestic situation, according to police. Gilroy police Capt. Joseph Deras said responding officers found a couple fighting at the apartment complex parking lot. What happened next between the couple and police is unclear, Deras said. At some point during the response, one of the officers felt that either his life or the woman's life was in danger and fired at the suspect, according to Deras. The man died at the scene. It's unknown whether he was armed. "He was presented with something he felt was life threatening, and had to make a decision there," Deras said of the officer. "And unfortunately, particularly at this time of year, somebody in our community tonight is dead as a result of their actions." Deras said two officers responded to the scene, but only one officer shot the man. Neighbors said they heard three to four gunshots. The officer who fired his weapon has been on the police force for four years and will be placed on administrative leave, Deras said. Police said late Monday the investigation is still in its early stages. Once Gilroy police detectives have completed their investigation, they will hand over the case to the district attorney. The woman is OK and was being interviewed by detectives late Monday, according to Deras. The last officer-involved shooting in Gilroy was in January 2010, Deras said.